The 2-in-1 plate can directly cool the surface that the plate is touching. Since there is no need to take out the hot air, there is no need to use a fan. This reduces air-conditioning and electricity costs significantly. 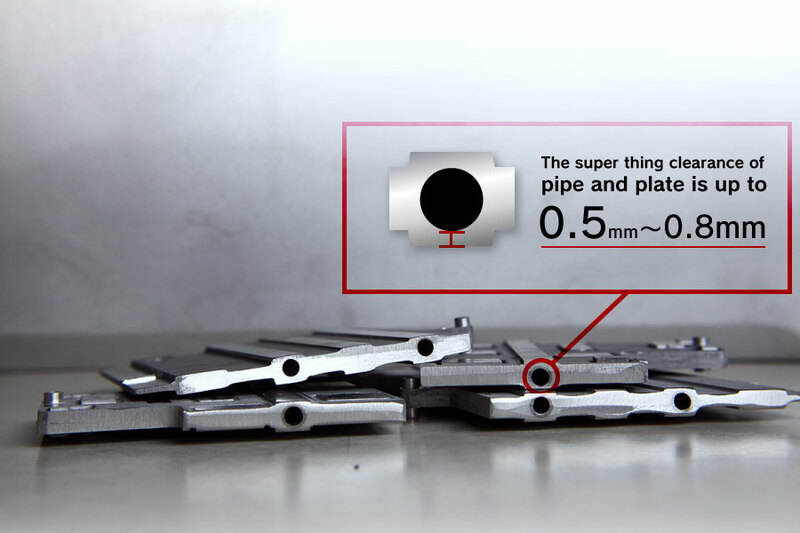 The pipe and plate clearance can be reduced to a super-thin 0.5～0.8mm, which realizes high cooling efficiency and space reduction. Also this 2-in-1 unit is very low-cost as it is solid cast of pipe and aluminum, thus enabling mass production. 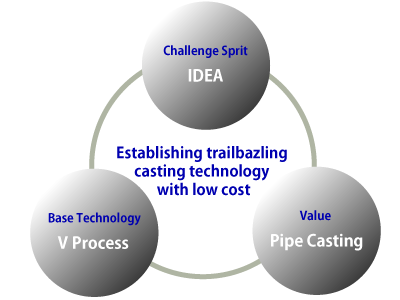 Solid casting with pipes using the V Process is possible. Directly cools the heat-generating part, eliminating the need of air-fans and reduces air-conditioning and electricity costs significantly. Can cast complicated structures; thus realizing high flexibility to adapt to client systems. Compared to cutting processes, easy to mass product and low-cost. 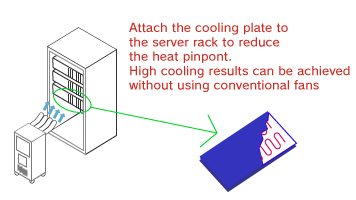 Thin cooling panel：It cools a heating unit without arranging panel which is unified with casting and pipe. Copyright(c) 2009 Sakae Co,.LTD All Rights Reserved.